Mr. Markey has had numerous solo appearances, including with the Pittsburgh Symphony Orchestra, Sun Valley Summer Symphony, United States Army Band, Hora Decima Brass Ensemble, New York Staff Band of the Salvation Army, and the Hanover Wind Symphony. A sought-after educator, Mr. Markey has been a featured artist at the International Trombone Festival, the American (formerly Eastern) Trombone Workshop and the conferences of the New Jersey Music Educators Association and the New York State School Music Association. 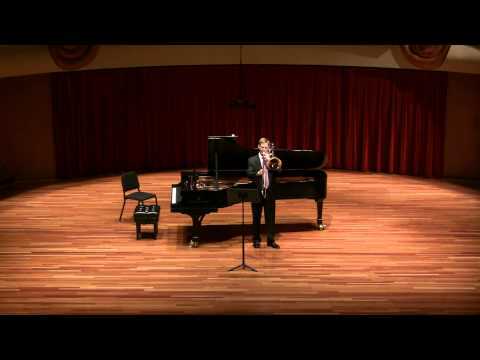 He has also appeared as a guest recitalist and clinician at major educational institutions around the country. 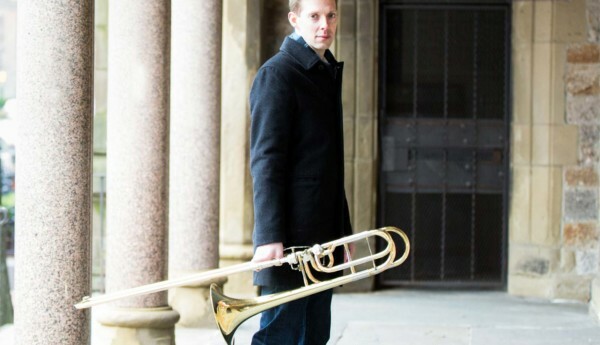 He currently serves on the Bass Trombone faculty of the New England Conservatory in Boston, MA, and the Trombone faculty of the Longy School of Bard College. Additionally, he has served on the faculty of the Juilliard School, Mannes College: the New School for Music, New York University, Purchase College (SUNY), Montclair State University, Sarah Lawrence College, and the Juilliard School’s Pre-College Division. Mr. Markey has released four solo recordings: Offroad, on tenor trombone, released in 2003; On Base, a solo bass trombone recording, released in 2009; a two-disc album of orchestral and opera excerpts for bass trombone with Denson Paul Pollard, and a second solo bass trombone recording titled Psychedelia, in 2015. He is also a featured soloist on A Beautiful Noise, a compilation of solos for tenor and bass trombone produced by the Columbus State University Trombone Choir, and on the Hora Decima Brass Ensemble’s recording of Janko Nilovic’s Concerto for Two Trombones.